Anything that can be baked on a griddle, Mark Douglas does it. From soda farls to potato and apple cakes to fluffy pancakes, customers are wolfing them down as fast as he can make them. None of them need yeast, so all he has to do is mix the ingredients and he’s good to go. 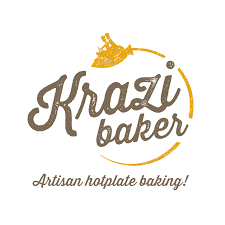 This Krazi Baker bakes at markets across Northern Ireland and beyond. His range is expanding all the time. He does soda farls, wheaten farls, treacle farls, apple and cinnamon pancakes, plain pancakes, potato bread, and potato and apple bread. He’s thinking vegetable and cheese fillings next. Can’t wait. He won his second Great Taste Award this year for his Shortbread Biscuits made using Abernethy Butter following his previous award for his potato apple.